May 21, 2018, Occupied Palestine — Palestinians have warmly received the news of Brazilian legend Gilberto Gil’s cancellation of his performance in Tel Aviv, scheduled for July 4, in response to what Palestinians and some international observers have termed as Israel’s “massacre” of over 100 civilians in Gaza over the past few weeks. Gil, who has won multiple Grammy and Latin Grammy Awards and has served as minister of culture in Brazil, is widely regarded as among Latin America’s most prominent musicians. In its attempt to suppress the overwhelmingly peaceful “Great Return March” by tens of thousands of Palestinians in Gaza, Israel has implemented what Amnesty International describes as a shoot-to-kill-or-maim policy. As a result, more than 100 Palestinian civilians have been killed since March 30 and more than 10,000 injured, many by live ammunition. Among those killed were at least 12 Palestinian children who have been slaughtered, including 8-month-old Laila Ghandour, who was asphyxiated by Israeli tear gas dropped on her family more than 1 kilometer away from the fence where Israeli snipers were positioned. The march, launched on March 30, demands the right of return for Palestinian refugees, who make up the absolute majority in Gaza, and an end to Israel’s 11-year-old illegal blockade. While Amnesty International has called for a “military embargo” against Israel, the UN has called for an independent investigation into Israel’s “unlawful, calculated killings” in Gaza. 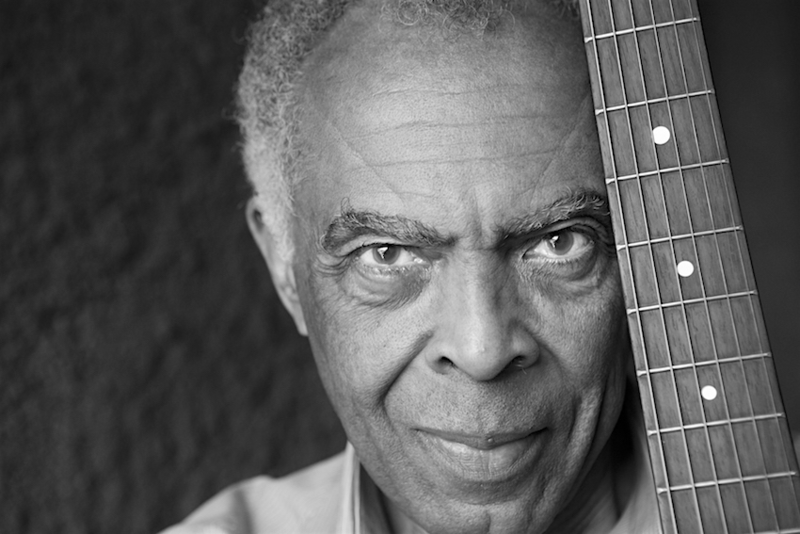 Gilberto Gil was twice a Goodwill Ambassador for the UN. In 2015, Gil, accompanied by another Brazilian music legend, Caetano Veloso, defied Palestinian and international appeals to refrain from performing in Tel Aviv. A few months later, Veloso announced that he would “never go back” to play Israel. We warmly welcome Gilberto Gil’s cancellation of his concert in Tel Aviv, the center of Israel’s regime of occupation and apartheid. We thank Gil’s fans in Brazil and across Latin America whose outrage over Israel’s latest massacre in Gaza and support for Palestinian human rights seem to have played a decisive role in his decision. We consider Gil’s cancellation as a belated gesture of solidarity, almost 3 years after crossing our nonviolent picket line. We want Gil to know that we never held any grudge. And as our daily resistance shows, our hope never dies. Our Nakba, or catastrophe, began 70 years ago, and is ongoing. International artists should not wait for another Israeli massacre to realize the importance of not lending their names and art to a regime that is targeting our rights and our very existence every day. By cancelling this show, Gil is in the good company of many world-renowned artists who have refused to art-wash Israel’s regime of oppression, including Lorde, Lauryn Hill, Elvis Costello, Brian Eno, the late Gil Scott-Heron, Faithless, Roger Waters, among many others. We sincerely hope that Gil will never perform in Israel until Palestinians enjoy freedom, justice, and equality.